You wake up, and find yourself in a strange land. 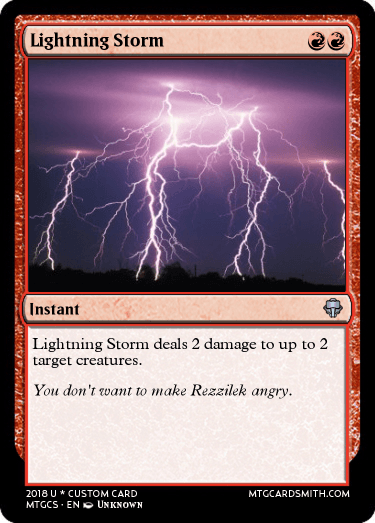 You had just experienced an insane moment that caused your planeswalker's spark to ignite, flinging you across the multiverse. You attempt to use your newfound planeswalking powers to return home, but you can't. An image flashes into your mind. A tower, in the middle of the world. You know you must find it if you wish to return home. Another image comes. A serpent, created of glowing strands that seem to be the lost planeswalker sparks of thousands of other planeswalkers. A sense of fear washes over you, and you know that this is the spark eater. If it catches you, you will have your spark removed and will be transported to who-knows-where. A name comes into your mind. Clancularius. The world, a blank slate to be carved. And so you begin your great quest to get home. 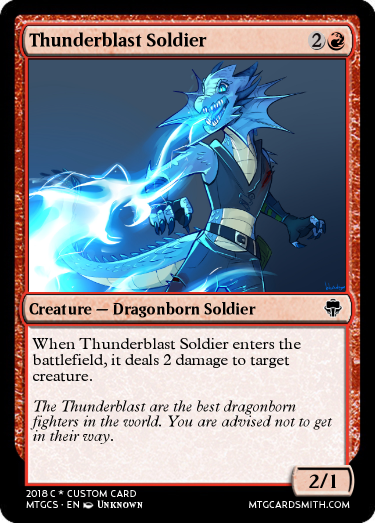 -A 2-4 mana planeswalker that is your starting color only, and has a name in common with your name, whether that be username, real name, or nickname. It can be a shortened version. NOTE: If you participated in the first PWJ, you cannot just recycle your planeswalker/cards. 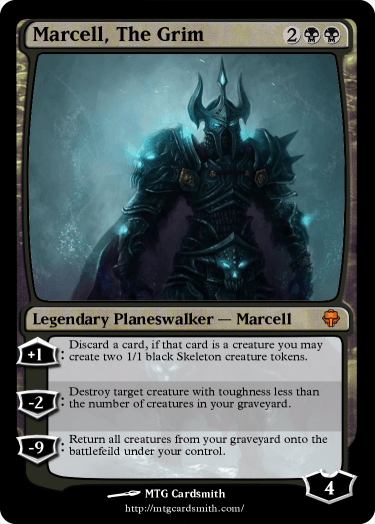 Planeswalkers created for the first one will not be allowed. Some people suggested giving points to spend on card slots instead of just giving card slots, but I will not be doing that. I don't think the system of giving slots was flawed, just that a few too many slots were given. So I will keep with the current slot-giving system. Each week I will be posting a challenge that you can create cards for. Cards created for the challenge will be awarded more points based on how well they solve the challenge. More on grading later. NEW FEATURE ALERT! As we get further into the challenge, I may sometimes make individual challenges for each contestant. Don't expect this super often, as it will not be easy to think up individual challenges for everyone. At the beginning of each challenge other than the first one, up to three people with the least points will be eliminated. Doing worse in the challenges means more risk of being eliminated. For a total of 10 possible points for a normal card, and 12 for a card made for a challenge. All rarities and legendary-not legendary will be judged the same. 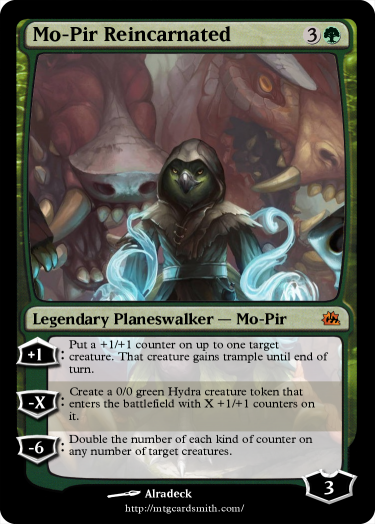 Your planeswalker cards will also be subject to this grading, although if you create a new one, the points it gets will replace the points any other planeswalker you had before got. The curve (mana curve) and cover (how much stuff your cards can handle) of your cards will be judged on a scale of 1-5 each. -Cards can be changed until the next challenge, at which point they are set in your spellbook and cannot be taken out. Ex. A card made on Wednesday can be changed during Wednesday, Tuesday and Friday before the challenge but not after. -Cards cannot be colors that your planeswalker is not. -No planeswalkers other than yours, except if they are story cards. 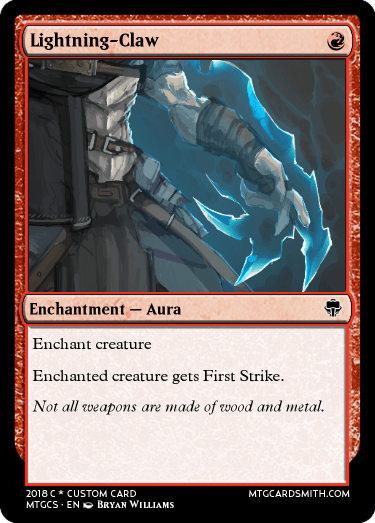 -If you make a lore/story related card that is not one of your planeswalker's spells you may overlook all rules but you must signify that it is a lore/story card. Note: As in the first PWJ, lore and story are allowed, but you don't get points for story. As someone who did story for my guy, I thought it was quite fun, but not everyone likes writing story, so it is not at all required. 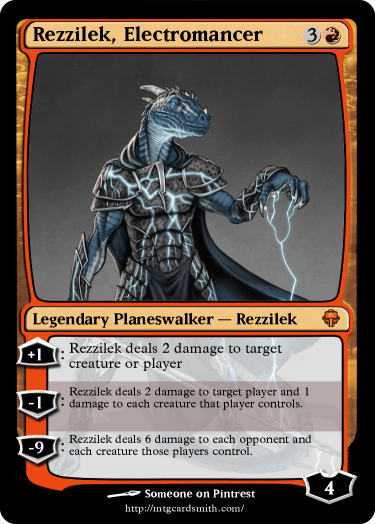 -Submit a monocolor planeswalker that costs 2-4 mana, and a niche (specialty) along with up to 2 commons and 1 uncommon, also monocolor in your planeswalker's color. -Your planeswalker's name should be similar to your name, whether that be username or real name. -No repeat planeswalkers from the first PWJ. -Cards will be judged on a scale of 1-10, with Curve and Cover at 1-5 each. -Storytelling is allowed, but not mandatory. No points will be awarded for storytelling. -I will be giving out challenges each week. You will get slots to make cards for these challenges, and those cards will be graded. Worse cards mean the risk of being eliminated. Submissions are due on November 30, at which point the first challenge will begin. Now, without further ado, Good Luck, Have Fun, and Happy Cardsmithing! Can i use my gaming username? As a human from a world dominated by red mana, he learned how to use fire and destruction to his advantage. His family was killed when he was just a boy, and he grew up learning from a strong Pyromancer. During that time, he learned to concentrate on keeping a fire going, and keep it on someone for a very long time. He left after four years training with his master and joined a nearby guard post. The post was attacked by orcs and his spark activated. I played some Turn based RPGs and liked how I could light someone up for a turn, go around a corner, and watch them burn or freeze to death. @Bowler218 I appreciate the return of colored artifacts and the damage over time flavor. Would you mind some constructive criticism? @Bowler218 Of course. Bloodfire's +2 ability is broken. It makes your opponent discard a card every turn with no additional investment from you other than 2 mana. The -8 could use clarification because flame counters have no inherent meaning but it's not worth using anyway since the +2 is so strong. 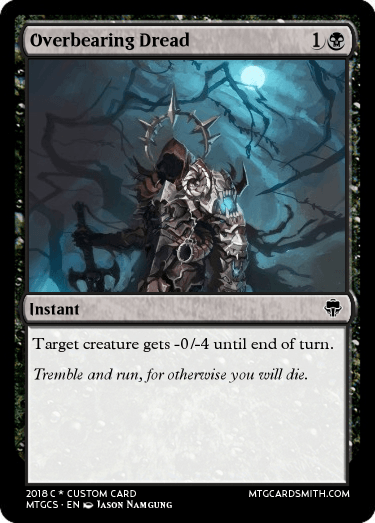 Also only black gets discard effects. Bloodfire's Staff is cool; it's like a Sorcerer's Wand that can hit creatures. Since it requires two colored mana I would remove the mana cost from the activation. Bloodflame is both weak and off color. It's strictly worse than both Shock and Righteous Blow and only white gets the attacking or blocking creatures restriction. Bloodfire's Sword is also weak, being strictly worse than both Veteran's Sidearm and Short Sword for costing colored mana and only boosting power. I am joining this. 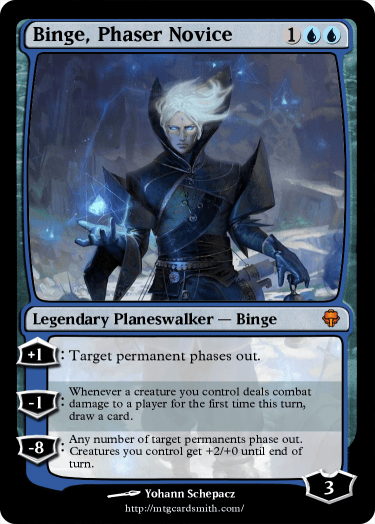 Planeswalker coming soon and a star added to the feed. @Bowler218 Sure. I don't want to force any changes; I'm just trying to give a little feedback. @BorosPaladin Nice stuff! Just Call of the Reaper is weak. @Bowler218 Nice stuff! It's looking a lot better. Are you changing your niche from damage over time to direct damage? @Aggroman15 I may join this; I'm not sure yet. Alright. Here we are. 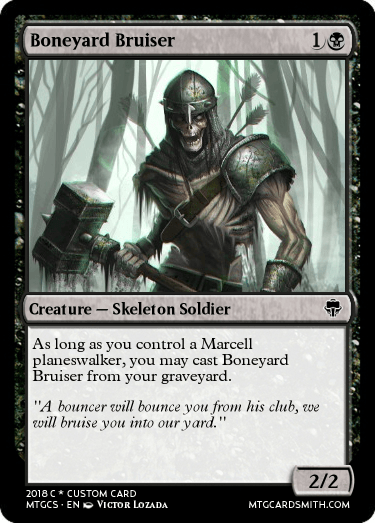 A new adventure in Clancularicus, a new planeswalker. I'm in the ring again, and this time I'm bringing support. BIG support. Mo-Pir was once the greatest of Theran Hydras to have ever existed, having grown larger than Polukranos itself. Unfortunately, some plucky heroes managed to kill him by poisoning all of the food he ate with Banewood. 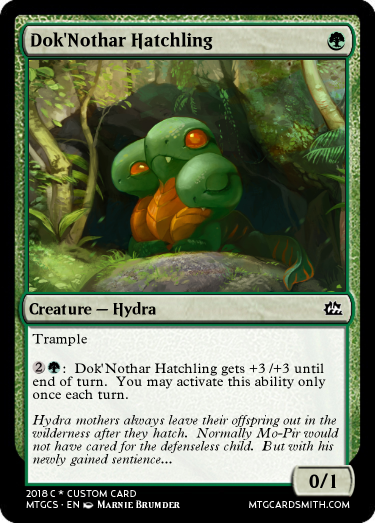 While the wood was perfectly fine for most other creatures to eat, it was anathema to hydras. However, right before he was about to have his last breath, something ignited within his heart and a flash appeared before his eyes as he blinked from existence. When he woke up from the experience he noticed he was much smaller than before, and felt... feathery. The spark had transformed him from a massive hydra into a bird! It wasn't out of pure chance though. The bird form was immune to the effects of the Banewood, saving Mo-Pir's life. That wasn't all that happened when the spark ignited. Mo-Pir had achieved sentience, albeit one that was childish and naive. Still, the once hydra longed to see his home once again, and walked into the forest where he landed. 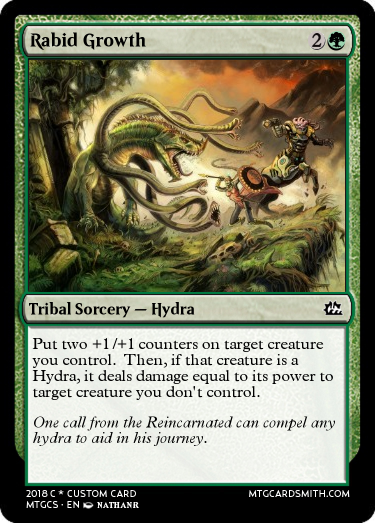 Niche: Hydras. Need I say more? Who's a cute little death machine? Planning on making a cycle of these creatures throughout the challenge, since I'm going WUBRG. Thank you for the criticism, I actually designed this card based on Fleshbag Marauder, I didn't realize it was under powered, I will make a substitute instead. And now I wait. God this is gonna take forever. Can we get mock challenges while we wait? That was the point the rarity is one lower, have you seen common black removal they usually look something like this. So it needs to be worse than murder or its broken at its rarity.